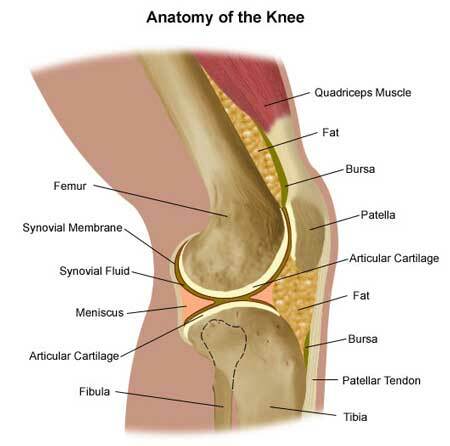 Hip and Knee Arthritis: The most common form of hip and knee arthritis is osteoarthritis. Due to the excessive wear and tear of cartilage in these joints, the bone comes in direct contact with the respective joints. These kinds of arthritis are generally found to occur in obese people. It is also seen in older people. This is because over-weight in the upper part causes too much strain to the lower portions of the body. There are genetic reasons for this disorder too. Other causes include fractures and injuries to the associated joints. Generally, the first method is to examine the symptoms. The doctor will examine the style and way of walking. The range of motion in the limb will also be examined. The swelling and tenderness in the joint also will be examined. The main test to diagnose the disease is x-rays. It will show the loss of joint space in the affected knee. Other imaging tests such as MRIs may also be used for the diagnosis. Sometimes, the doctor may also suggest for a blood test. The treatment method is decided by carefully analyzing the severity of symptoms shown. The treatment method may vary from person to person. The treatment can be both surgical and non-surgical. Non surgical treatments include methods such as lifestyle modification, supportive devices, exercise, and other methods. Lifestyle modification: As the name suggests, it include modification in the daily lifestyle. Make changes in the diet to lose weight, change the style of daily exercises (switching from jumping or running exercise to cycling, swimming etc.). Supportive devices: Use of device which can assist the treatment or lessen the pain and conditions of the disease. Supportive devices include devices such as energy-absorbing shoes, cane, brace or knee sleeve etc. Exercises: it is an effective method to decrease the problems of movements of the joints. Exercises can reduce pain and improve functioning of the joint. Physical therapies can also be done with the consent of the doctor or the therapist. Other methods: applying heat or ice, using elastic bandages or liniments and water exercises can be also included in the non-surgical methods. Except non surgical methods, drugs and surgical methods also can be used to treat knee and hip arthritis. If the disease does not respond to non-surgical treatments, the doctor may suggest a surgery. There are numerous methods of surgery.